As a woman, one of the hardest fashion decisions to make is the age-old battle between investment and trends. It’s easy to be swept up in the world of fast fashion and want as many items of clothing for as little money. But it’s time to look at the 5 pieces that are worth investing in. Every woman knows jean shopping can be described as a form of light torture. From badly lit changing rooms to sizes never being the same across different brand names, it’s enough to bring you to tears. But it’s something to persevere with because the perfect pair of jeans can be a true staple in your wardrobe. The key is to try on as many pairs as you can, research has shown that most women will try on at least four pairs or more before finding a pair that fits. Once you’ve found the perfect fit, it’s time to think about what colour wash will integrate into your existing wardrobe easily. 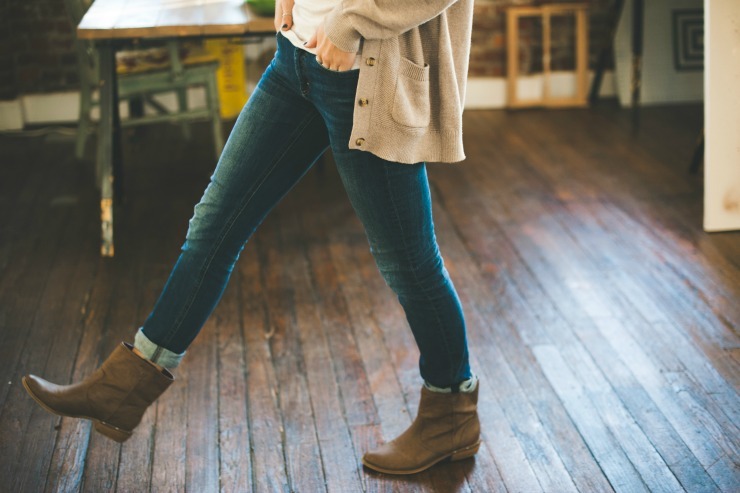 Most women go for black denim as it is always seen as a flattering wash and is likely to be paired with most items you currently own or will buy in the future. For more information on picking the perfect pair of jeans click here. There are so many women’s dresses to choose from both instore and online, so it is worth trying on as many as you can and learning what works for your body shape. You can use this as your excuse to go shopping! A woman’s wardrobe is not complete without a classic tailored blazer. They are a great addition to most pieces and can easily be worn both day and night. During the day a blazer looks great thrown on over a casual t-shirt, jeans and flat shoes, but can easily be worn over your favourite dress for an evening out with friends. 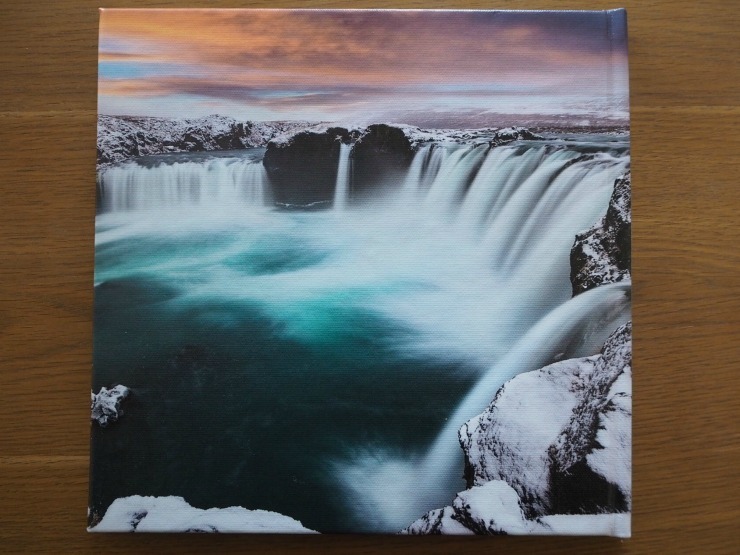 It might seem like a boring piece and nothing to get too excited about, but you would be wrong. A classic white shirt is such a versatile piece to have in any wardrobe. Playing around with different fabrics can drastically change the look of an outfit. Try investing in silk and think about teaming it with tailored trousers for a twist on a classic office outfit. The more traditional crisp white shirt can be worn with a few buttons undone tucked into your favourite skirt for dinner out, just remember to not spill anything down yourself! It is important to have a beautiful but most importantly comfortable pair of flat shoes that you can turn to again and again. Although it’s tempting to buy cheaper shoes, so you have more pairs and in turn more choice, they simply won’t last, and you’ll be left frustrated. The best thing you can do is invest in a leather pair. A classic black loafer is always a safe bet to ensure your shoes can be paired with almost everything already in your wardrobe. There is nothing worse than investing in an expensive pair of shoes if you can only wear them occasionally. If you have older kids you have that dilemma when you go on holiday - do you book more than one hotel room to give them (and you) privacy and space or do you share a room with them? This is where booking an apartment is a perfect choice, especially in areas where hotel rooms are pricey. FG Properties is an apartment rental company, that has properties in London and Paris, and was the perfect choice to use when we decided to visit London recently for my son’s 21st birthday. 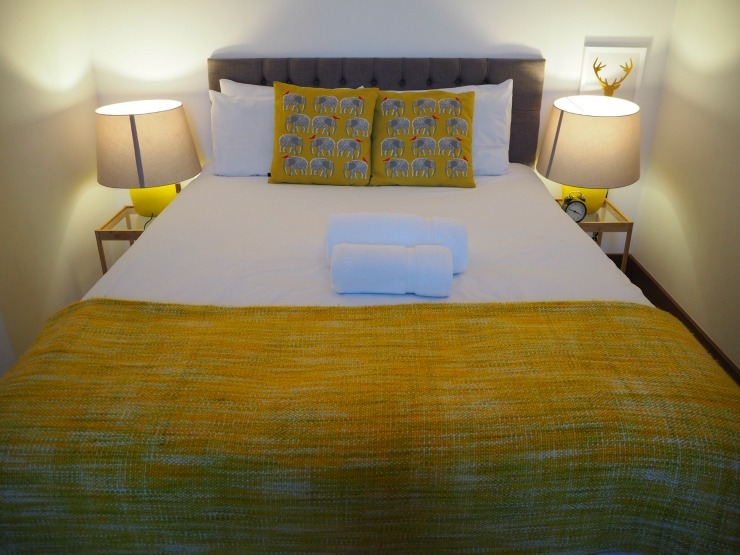 Bookings can be made on their website, and availability for all the apartments can clearly be seen. Prior to arrival, you are contacted via email by City Relay the management company, and then by text to confirm check-in time. 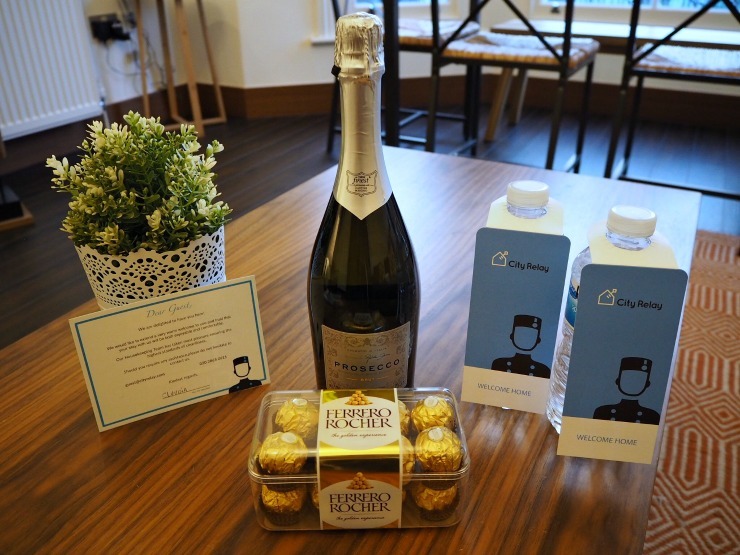 You can collect the keys to the apartment at their London office or they will email you with the apartment code or meet you at the property with the keys. We were staying at an apartment on Holland Road, walking distance to Westfield shopping centre. Helene who greeted us with the keys was courteous and helpful. Initial impressions were excellent. 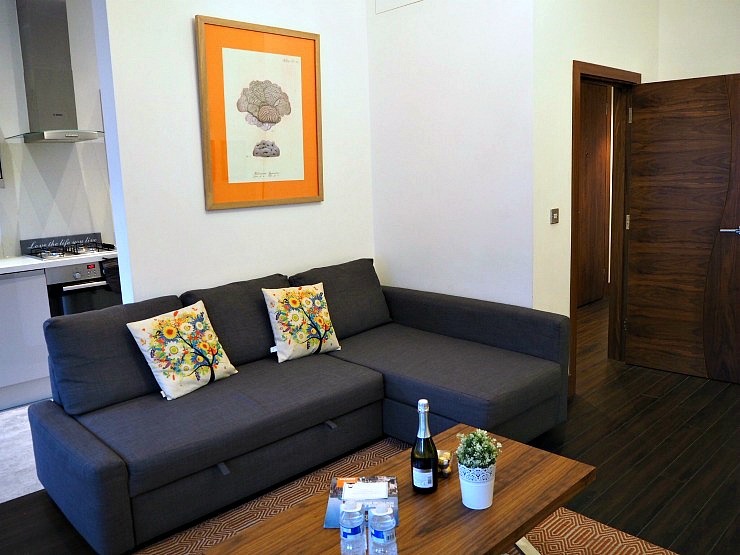 The apartment looked fresh and modern and was spotlessly clean. We entered the apartment up one flight of stairs through a smart black door, into a short hall then right into the lounge/diner. The lounge was a good size and had a large convertible sofa, large flat screen TV, small lounge table and dining table and chairs, to the side, big enough to seat 6. The room had the illusion of looking bigger as it had high ceilings. 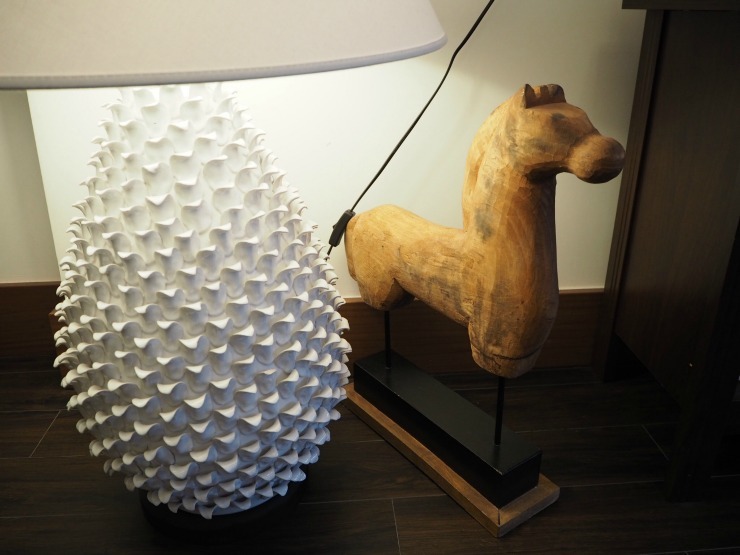 It was nicely decorated with chic but fun furnishings such as a lamp in the style of a pineapple. To the right of the lounge/diner was a small kitchen that was well equipped with most things you would need including a fridge/freezer, dishwasher, toaster, and pod coffee machine as well as a cafeteria for your morning java hit. 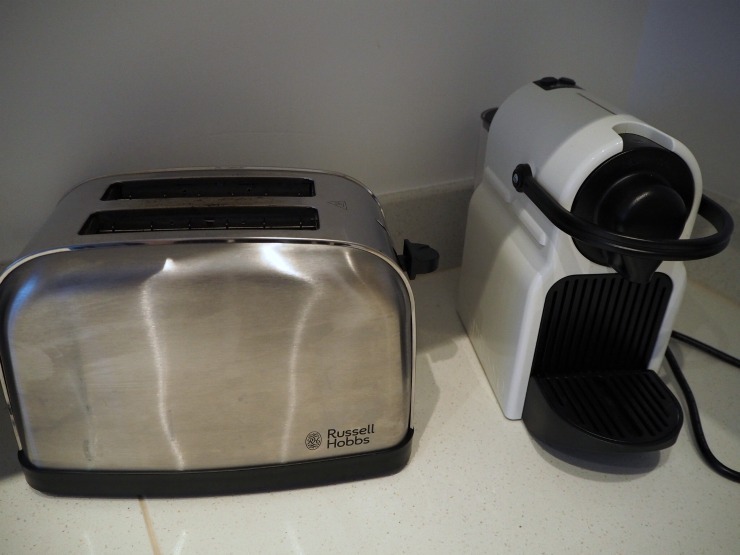 All the appliances looked new and modern. There were a small number of tea bags, coffee, sugar and milk provided, enough for a couple of days. Washing up liquid was also available. As you came out of the lounge and into the hall there was a small but well-appointed bathroom with bath, shower, sink and toilet. Nicely decorated again, there were also Dove toiletries available, including body wash, shampoo and conditioner. This was a brilliant touch as in my experience when renting an apartment, you often don't get toiletries provided. Down the hall was a double bedroom with side tables, lamps, and a wardrobe. In the cupboard were an iron, ironing board and hairdryer. We loved the quirky print on the wall! At the bottom of the small corridor was the second double bedroom. This had a couple of steps to walk down and you had a view of the gardens below. This room had a chair as well as a chest of drawers. The decor was simple here, in the same fresh style, with white walls and a white duvet cover and pillowcases. Again spotlessly clean. We have stayed in a number of FG Properties now and they have all been appointed to a high standard. 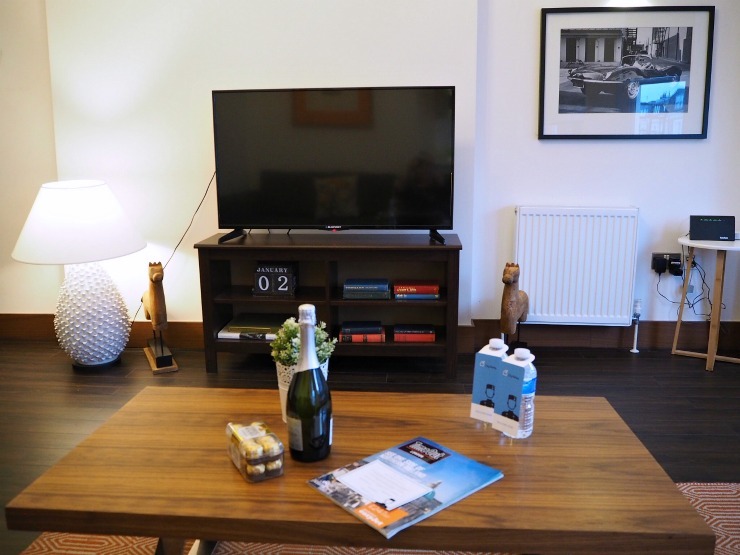 Every property has given that 'hotelesque' experience as toiletries are complimentary, towels and a hairdryer are provided as well as coffee and tea and free Wi-Fi. A big plus point is the space, as if you are travelling with a few people, you get all the space of a flat or apartment so you can relax without being on top of each other. 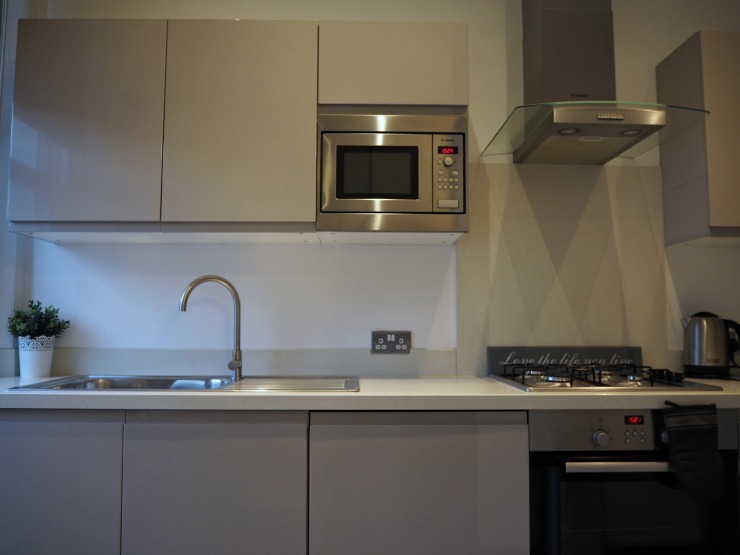 With prices from £79 for a two-bedroom apartment, they are extremely well-priced too. All the apartments in London are very well located as well. A welcome pack with a map and tourist information is extremely useful and always provided as well as contact details in case you have any queries when staying in the apartments. During our stay, we were called to ask us if everything was ok, which was a nice touch. 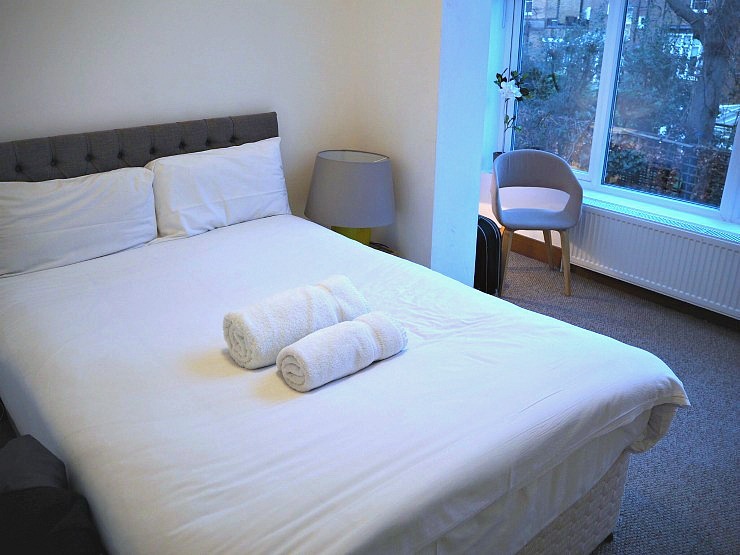 With prices cheaper than many hotels in London it is definitely worth checking out the website if you are looking to stay in London and want the space. Do you wish you had some more fashion inspiration? Do you look at your wardrobe and think I don't know what to wear? These are my new year resolutions for a stylish 2018 and I hope you take what you want from these and that they inspire you too. Think about your work situations, meals out with your partner or the girls, or that shopping day in the city and plan your clothes accordingly. If you do this then this will mean you won't be panicking last minute about what to wear or realising your favourite dress is in the wash. It will also, of course, save time when you are getting ready to go out, so try and add this to your routine every week. Keep an eye out for new trends and take the best and go with it. Adding something new to your wardrobe can give it a whole different look. Keep an eye out for new trends from the catwalk and see how it filters down to the high street. Find your favourite trends such as checks, pastels, or Cinderella shoes and add them to your wardrobe to freshen it up. This may be a step too far but don't be afraid to leve your comfort zone! Don't be afraid to leave your comfort zone in regards to style. OK, maybe you’re not going to wear the most bizarre styles or strange prints but learn to embrace new things with a sense of fun. After all, life is too short not to have fun with fashion! Buy a base of quality items that will last in classic styles and you will have a great wardrobe base. There is definitely something to be said for buying the best you can afford. Case in point here is that quality leggings can last three times longer than cheaper version and cashmere jumpers are infinitely warmer and cosier than normal woollies. Also, think of modern classics to have in your wardrobe like skinny stretch jeans, a boyfriend shirt in white or a women's duster coat in black or a neutral shade. Look after your clothes too, handwash delicate items and dry clean if you need to and your clothes will last for years. Embrace your shape and learn to dress for it. We are all individuals of different sizes and different shapes. Learn what suits you and be kind to yourself. Genetically you may never have the ‘ideal’ body that the media says you should have, which as we all know is a load of rubbish anyway! I’m short and curvy and over my ideal BMI. I’m never going to have a supermodel body and to be honest, I would never want it. Life is too short not to have cake, so embrace your shape. 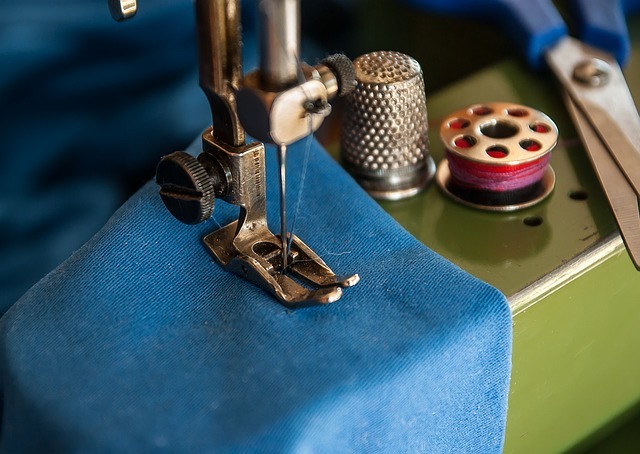 Whether that is learning the skills to customise your old clothes, learning how to sew a simple top, or learning old-school knitting. You may be pleasantly surprised at the outcome. I tried sewing classes a while ago and even though I don't think I'm ever going to make a wardrobe full of clothes tomorrow I learnt how to do simple repairs and make basic tops. 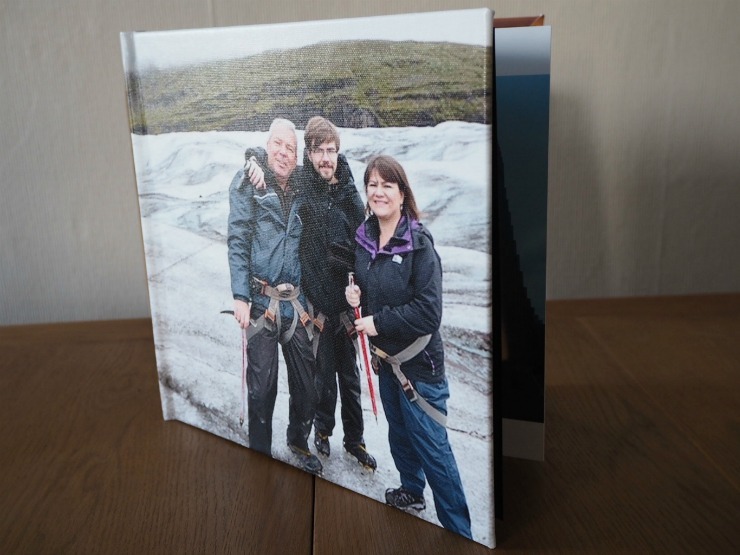 Learning a skill like this can be extremely rewarding and give a real sense of achievement as well as potentially saving you money. So these are my resolutions for a stylish 2018. Let me know what yours are! 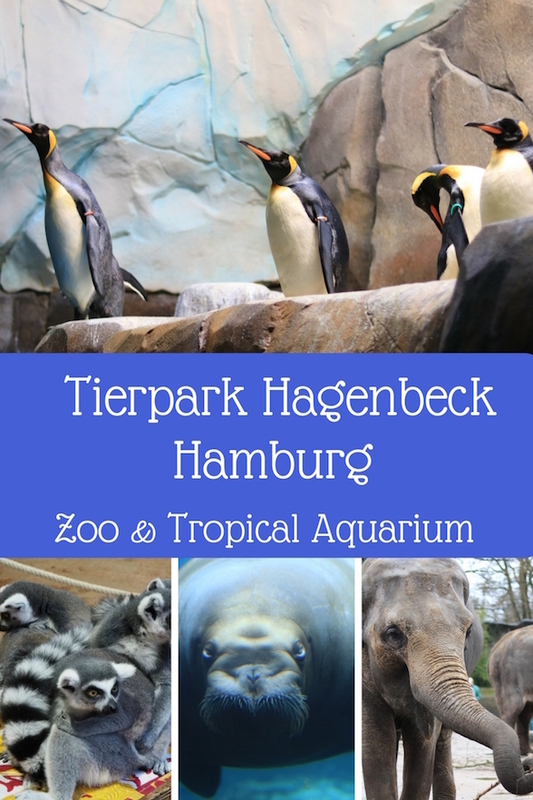 A short ride on public transport from the centre of Hamburg is Tierpark Hagenbeck. 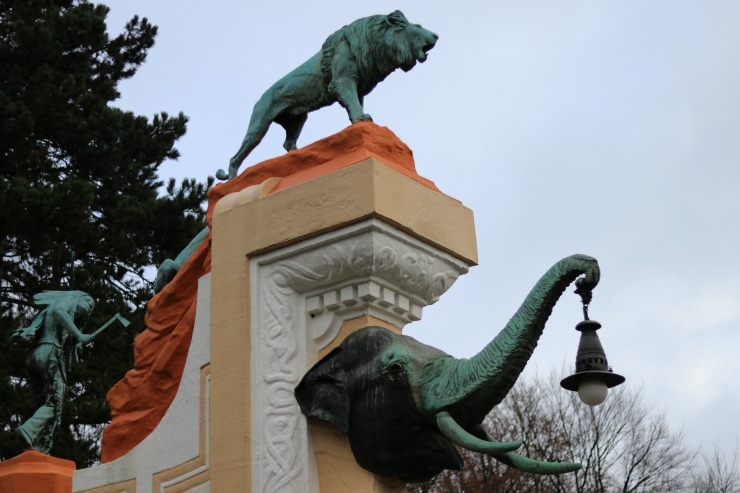 Hamburg's popular zoo is privately owned by the Hagenbeck family since its opening by Carl Hagenbeck in 1907. 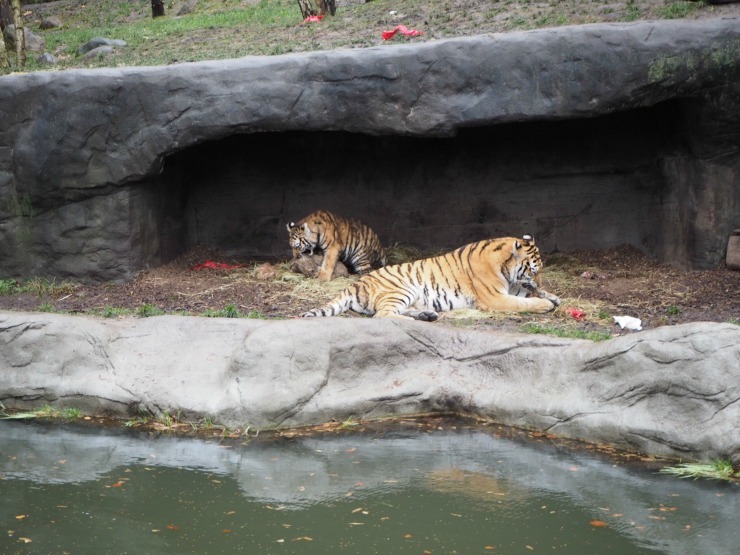 Mr Hagenbeck was a pioneer in open enclosures surrounded by moats instead of fences and this is still the same today. 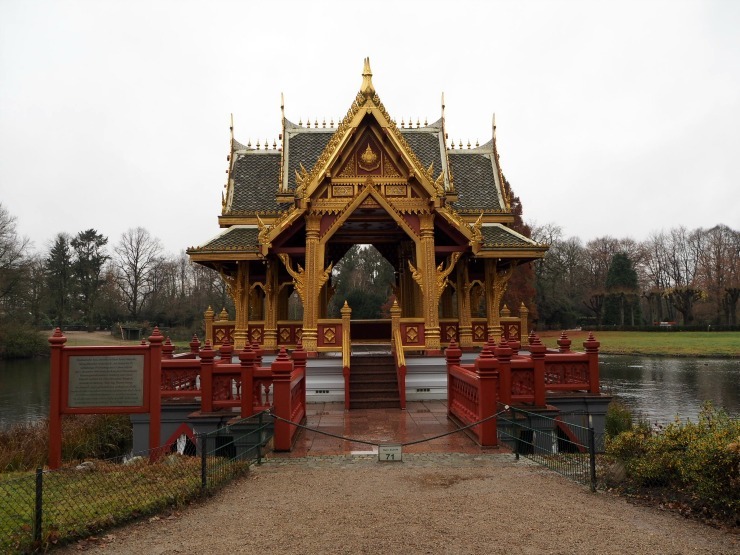 We were shown around by the lovely press relations lady Sabina, and this helped us understand more about the zoo or Tierpark as she preferred it to be called. In the 1890s Carl Hagenbeck created his first "panorama" exhibit which he patented a few years later. The tiered display had seals and walruses in a pool, a hidden moat then reindeer and then another hidden moat between polar bears. 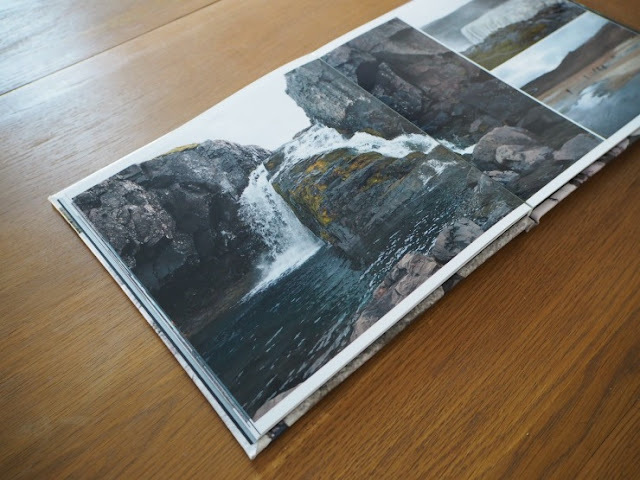 By hiding the moats, the animals appeared to be together in one landscape and so the 'tier park' was born. 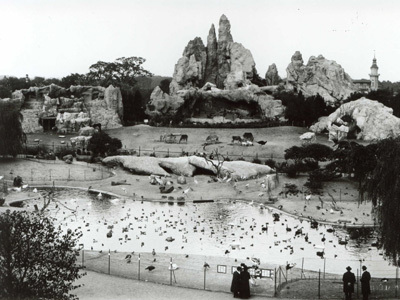 So in 1907 Hagenbeck opened this zoo and decided to design it with his patented panorama system in mind. The open encloses were revolutionary at the time and can still be seen in Tierpark Hagenbeck today. 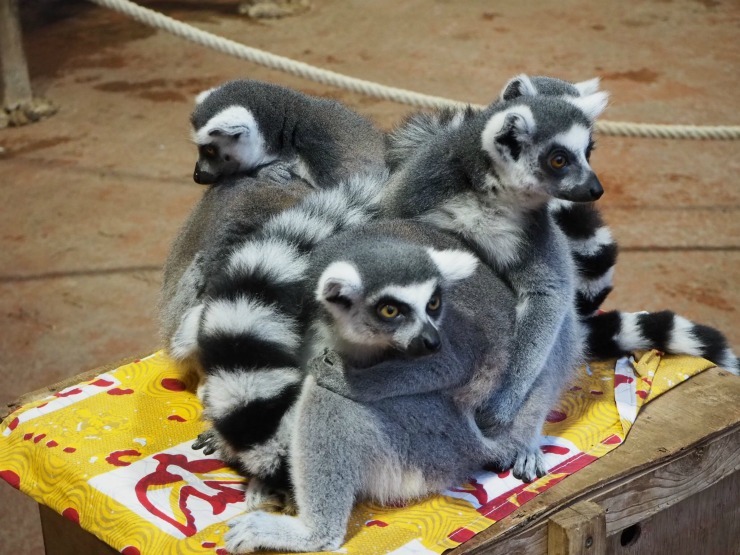 Today the park has over 1800 animals and you can get to know the animals at close range. When you buy a ticket you are given a map and a leaflet with feeding times. This is useful to have but you can also see a map with an up-to-date activity board at the front of the park. You can feed a number of animals including elephants and giraffes and small animals in the petting zoo. The park is divided into two parts - one part zoo and one part tropical aquarium. The Tropen-Aquarium Hagenbeck was opened in 2007. 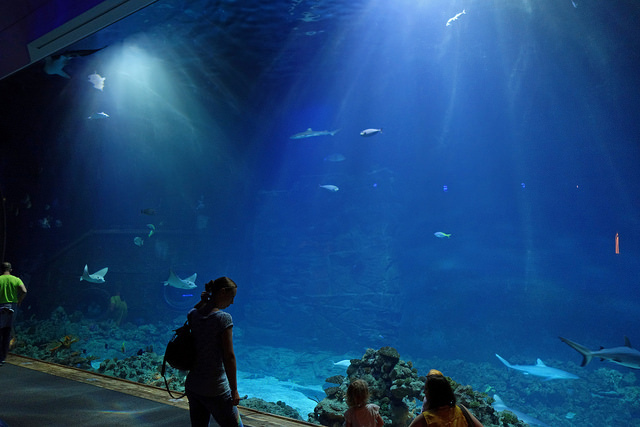 Covering more than 8000 square meters it is the largest aquarium in Germany and the largest aquarium in the whole of Northern Europe. 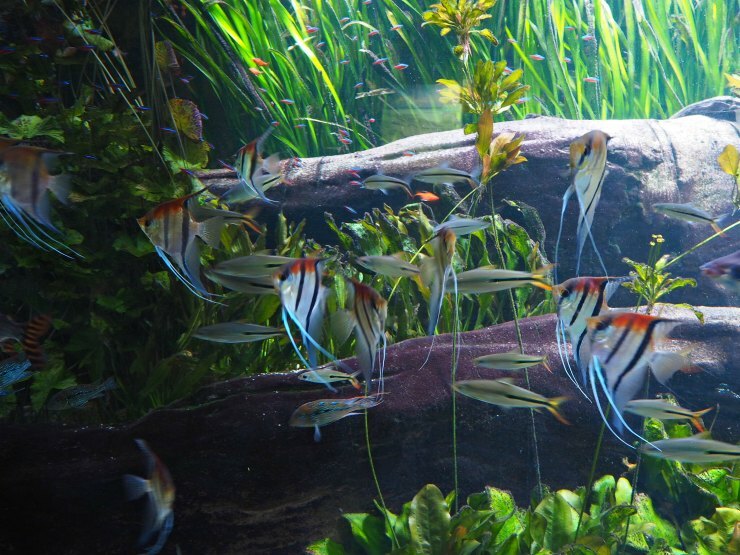 The aquarium has a number of free-flying birds and free-roaming lemurs as well as some of the worlds most dangerous animals such as Nile crocodiles and venomous snakes. We were very impressed by the huge panoramic tank with sharks and rays. It was hypnotic watching these large creatures dart in and out in this impressive tank. You can watch the sharks and rays being fed every afternoon, but we unfortunately missed this. When we came out we wandered around the gardens. 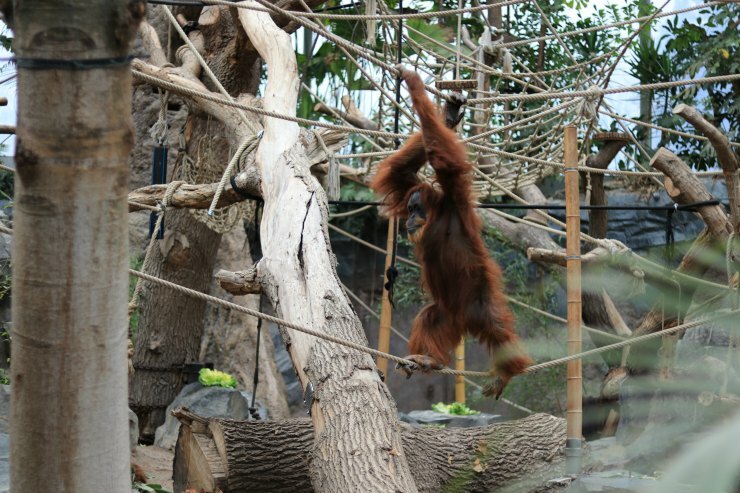 In 19 hectares of ground, the zoo is spacious and attractive. It was lovely seeing the animals roaming free like the pelicans and capybaras. 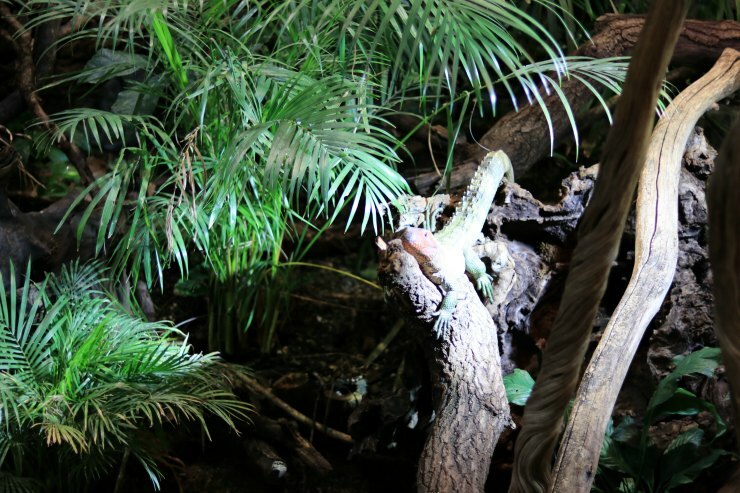 Both the Tierpark and the Tropen-Aquarium help to conserve endangered species. At present, there are 46 species of animals that face a severe threat of extinction and that experts monitor and coordinate their numbers on an international level. Many animals threatened with extinction produce here including Sumatra orang-utans, Siberian tigers and North Chinese leopards. I know there is some controversy about zoos these days but you cannot fail to notice the work that places like Tierpark Hagenbeck do to conserve endangered species. In June 2017, four Siberian tiger cubs were born in the park, which is all the more amazing considering in 2015 there were less than 600 Siberian tigers considered left in the world. 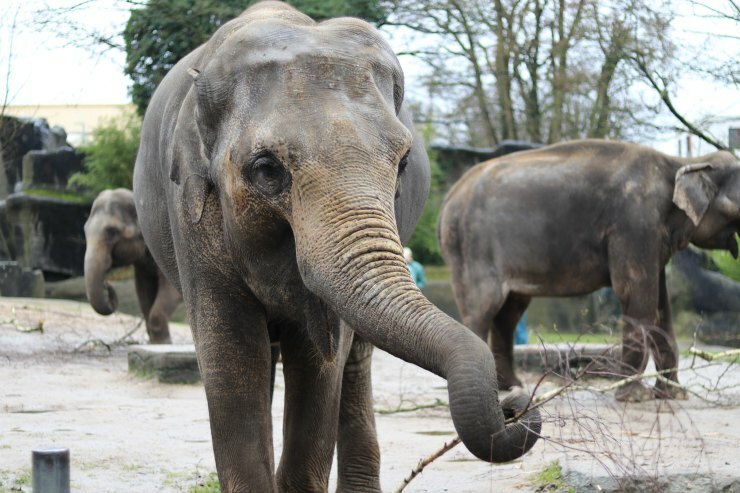 Particular mention should also go to the Asian elephants as Tierpark Hagenbeck is one of the important breeding sites for this species and baby pachyderms regularly come into the world here. The births take place among the herd, just like they do in the wild. The Eismeer area of the park is where you can watch creatures above and below water. 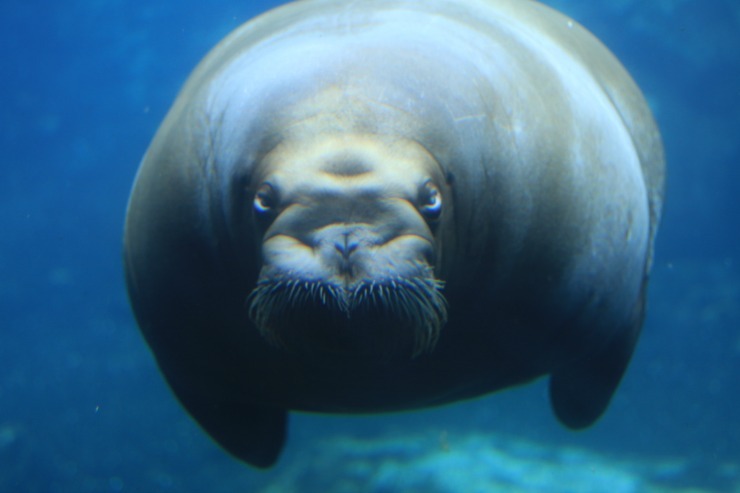 The walrus tank is one of the deepest in the world and the only one in Germany. I love this photo that Mr W took of this walrus. 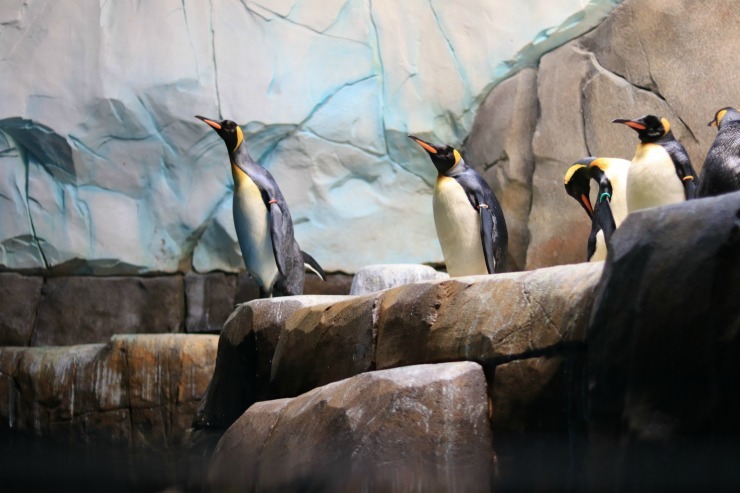 The penguins have a large enclosure that is both inside and outside and a large pool to swim. Watching these amazing creatures waddle together, then jump into the pool was utterly fascinating. Tierpark Hagenbeck and the Tropen-Aquarium Hagenbeck are both an interesting day out for all the family. The park is open 365 days a year and prices are reasonable considering you could spend all day here. 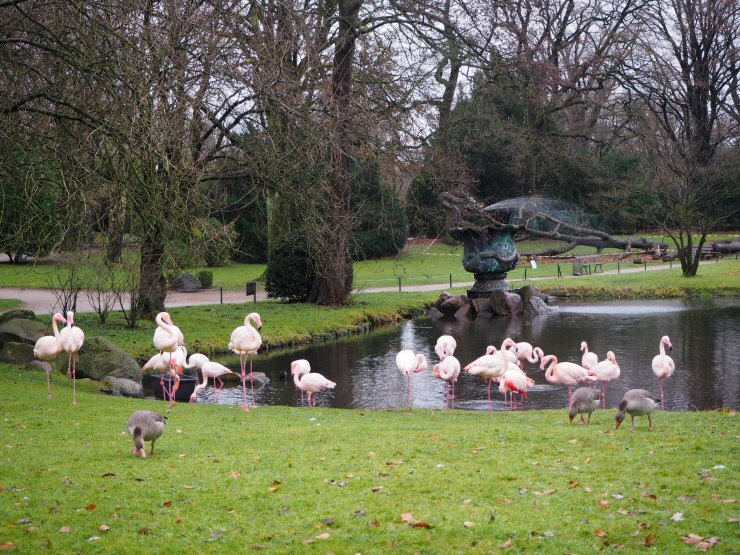 In the summer there are events on including jungle themed nights and live classical music in the zoological gardens. 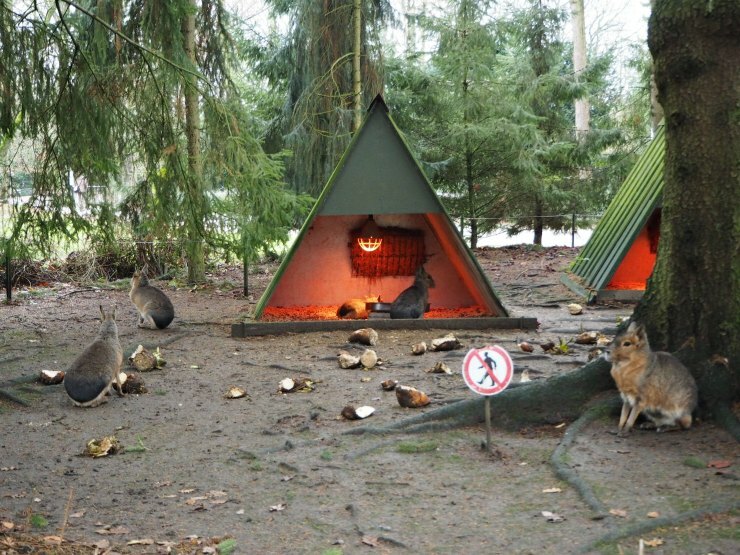 The animals appeared well looked after and the work that Tierpark Hagenbeck and the Tropen-Aquarium do to preserve endangered species and educate the public cannot be overlooked. If you do like to visit zoos then this, in my opinion, is a good zoo and tropical aquarium, with well looked after animals. 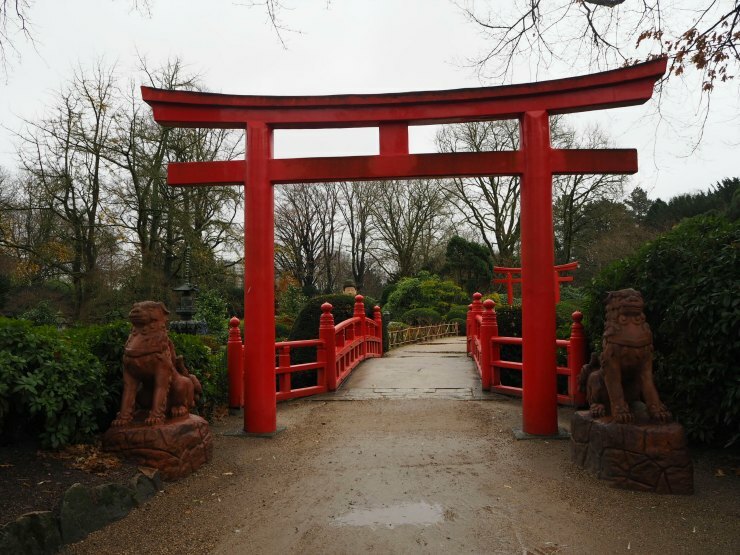 Read more about Tierpark Hagenbeck from a family perspective from Zena's Suitcase here. When it comes to giving your living room a makeover, every little detail is important. The living room is where you’re most likely to host friends and family when they come over, so design is key. Not only this, but the lounge is the room where you will kick back at the end of a long day, so you’ll be wanting a cosy environment too. One piece of furniture that can help you strike that balance is a rug. Rugs complement the decor and give a touch of comfort to the room and it is for this reason that they are a great addition to any home. 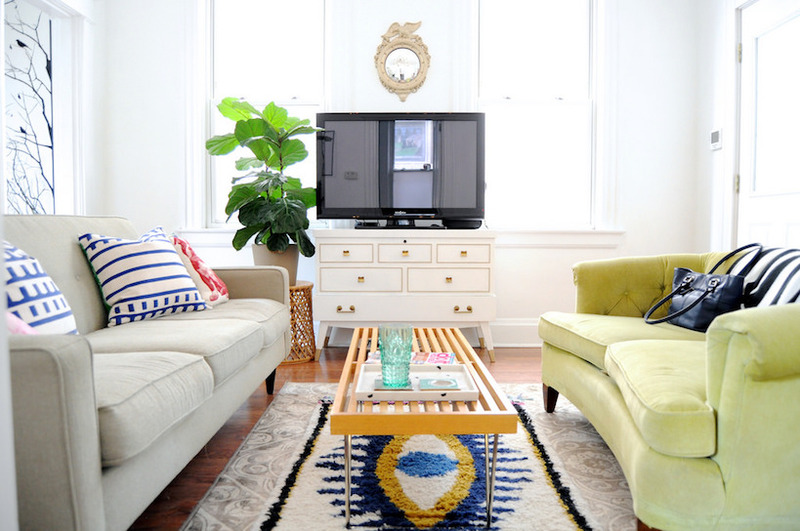 But how exactly do you pick the right living room rug? Colours and patterns are the things you will be first drawn too since these elements are what let you create themes and reflections of your personality. This is great if you are starting a room from scratch, but if you’re working with an existing decor, your choice will be a bit more limited. Ultimately, you want to rug to work nicely with the room, no matter the aesthetic. Think carefully about existing accessories and furnishings so to best match your rug to the rest of the room. Alternatively, if you’re wanting your rug to be the feature piece in a room you can look at contrasting and bolder colours that will draw the eye. Patterns are a huge trend right now. 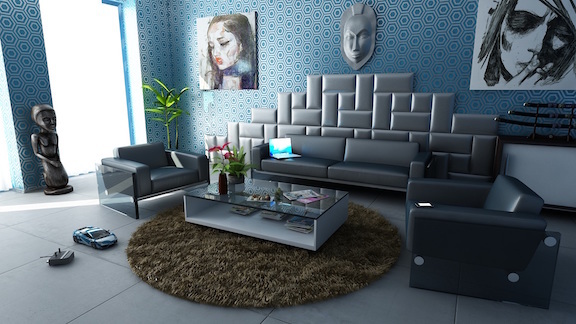 You might be a bit apprehensive of lively colours and patterns, but the truth is that they can help to enhance the decoration of the living room beautifully. As mentioned previously, this is great if you’re wanting the rug to be the centre of attention. If bold colours really aren’t your thing, look instead to softer palettes with quieter patterns that can still add that much-needed depth and dimension to a room without being too loud. In a rugs case, size matters. First, it is really important to measure your room before buying to make sure the rug is going to fit in the living room. There’s nothing worse than ordering a rug that is too big or too small and having to start all over again. 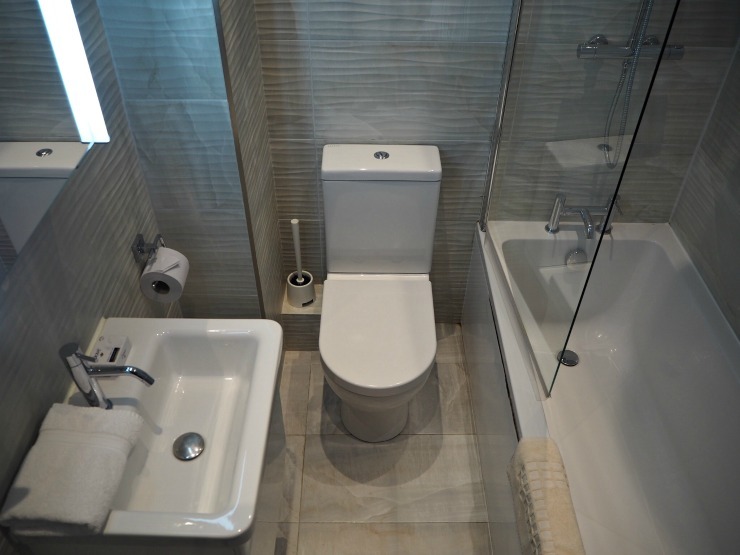 The reason size is so important is because it needs to give a feeling of balance to the room. As well as this, the way you place the rug is also equally as important. In open spaces, you need it to have it well centralised, otherwise, the room could look like chaotic and untidy. In smaller rooms or with smaller rugs you have the luxury of using them under coffee tables or desks to highlight a certain aspect of the furniture. Another important feature, we often look for that warm and cosy feeling under our feet but on the other hand, we also want something practical and easy to clean. A popular rug material choice is a wool rug. 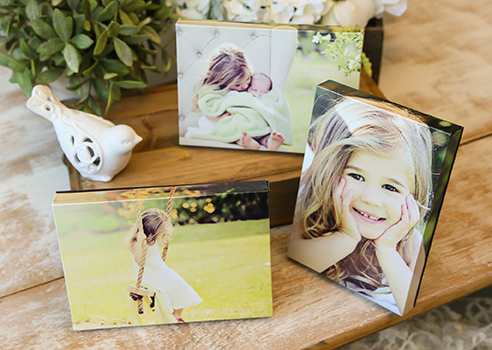 These add comfort and cosiness to the room but are also easy to care for. Similarly, shaggy rugs, which are currently bang on trend, are known for their deep pile length which earns them their name. Shaggy rugs are great for adding that much-needed texture to an otherwise bland room, plus, they are great insulators for your floor. If you’ve got a busy room already, its best to avoid shaggy rugs, as they may drown the room out. So there you have it, a small guide to help you choose a good rug that will help you to transform your living room in a cosy cocoon. If you are coming to New York especially for the first time, there will be many sights you wish to see and many attractions you wish to visit. Of course, some are free but a number of attractions will ask you to pay for admission. One way to cut down on the cost of this is to buy a New York CityPASS. 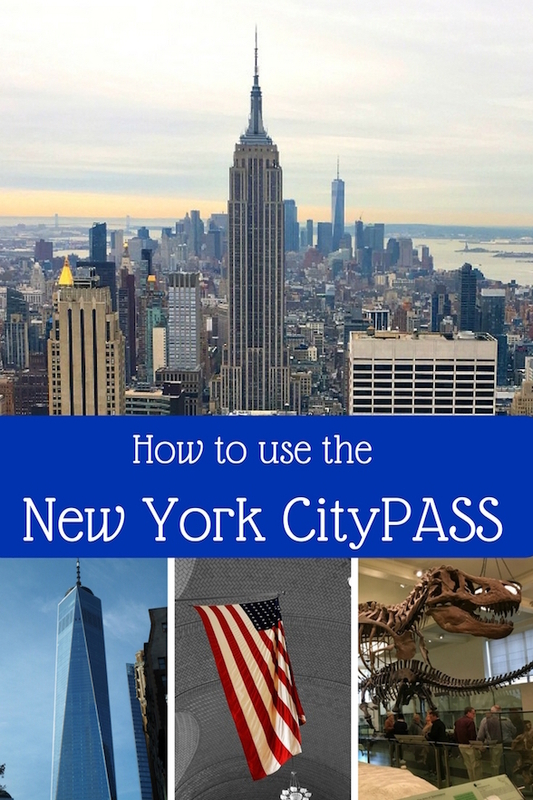 A New York CityPASS is a ticket you can buy online and at participating attractions, that can save you money. 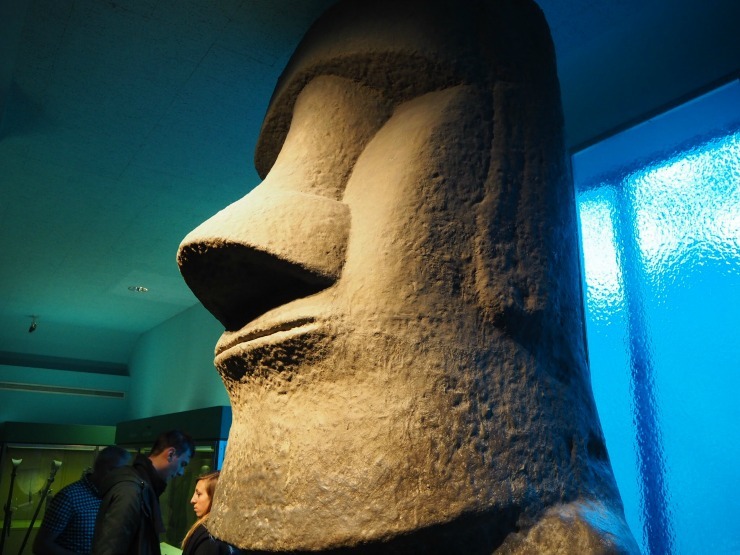 It comes with a booklet that includes prepaid admission to a number of New York attractions. 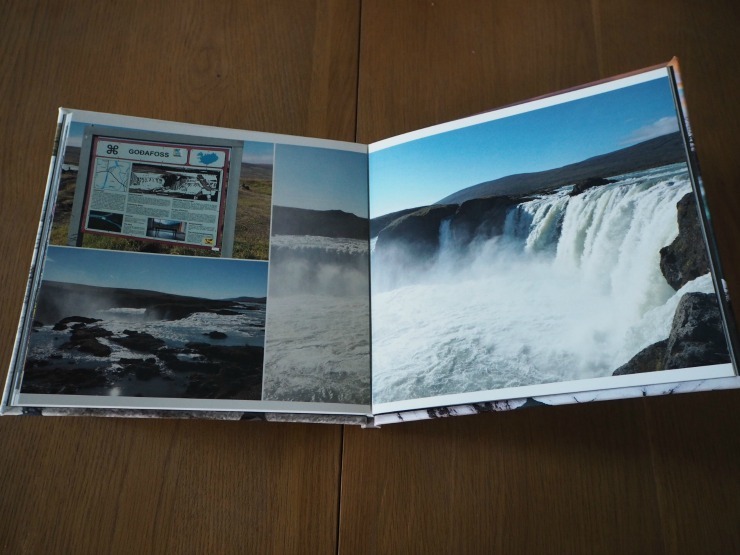 When you want to go to an attraction you use one of the tickets in the book, it's as simple as that. 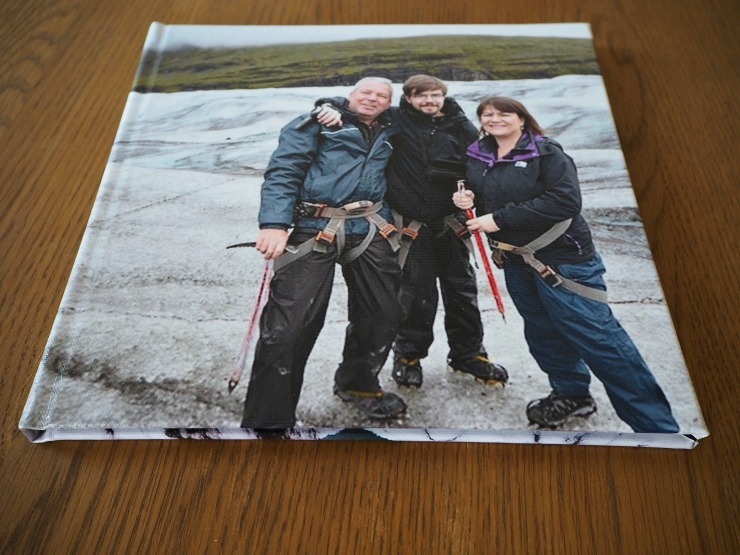 In this modern age, the booklet can be emailed to you too so you can have it on your mobile. The cost of the ticket is £96 for adults and £77 for children aged 6 to 17 and they state on the website that you would save 42%, a saving of approximately £70 if all these tickets are bought separately. 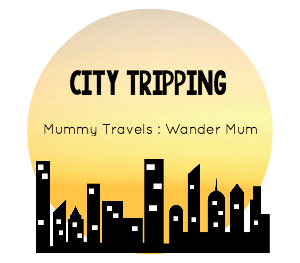 If your child is under 6 then most but not all attractions featured are free. So there are big savings to be had if you plan to go to a number of these attractions but how does it work in practice? 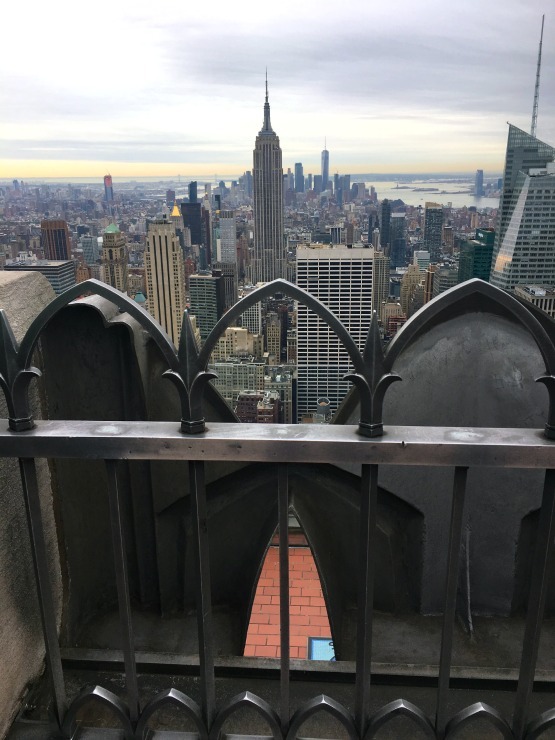 Our first stop was the 'Top Of The Rock' or the top of the Rockefeller centre, go there for some of the best views in New York. We were there on a weekday morning in October around 10am. With hindsight, this was a mistake as it was very very busy! Now they say on the website you can use the New York CityPASS to skip many of the queues but here this didn't work. We were told to queue up with everyone. After queuing for what seems to have taken ages but in reality was about 40 minutes, we got to the front, only to be told that there were no tickets available until 1pm. As we were going somewhere we decided to get a ticket for the next day instead. The next day we turned up and were shown where to go through security. You have to go through a security scanner similar to the security you go through at the airport although it isn't as strict. Then you are guided to have a photo taken with a fake background showing you on the top of the rock (you can pay for this later). Next, you wait for the lift and watch a short film about the history of the Rockefeller centre. About 30 minutes later we were going up in a lift to the top of the building. So as you can see there is a lot of waiting around, the view, however, was amazing as you can see from the above photos! Pros/Cons: If you use a New York CityPASS you have to queue twice here (once to purchase your ticket using your voucher in your booklet) as opposed to booking your ticket online in advance. 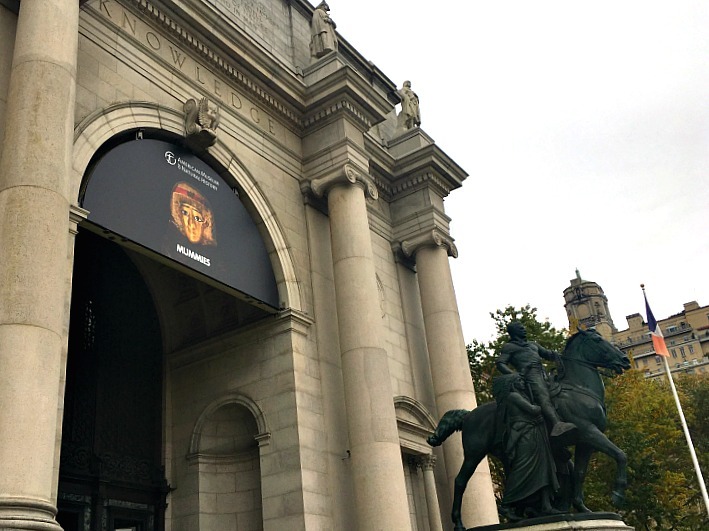 The next day we decided to visit the American Museum Of Natural History. If you haven't visited you may be aware of this museum as it was the museum featured in the film Night At The Museum with Robin Williams. As we entered the building, we came across a queue again. With no obvious way of bypassing this, we queued up with everyone who hadn't obtained a ticket in advance. If you buy a ticket online you scan your ticket with museum staff for admission when you enter the museum. We queued here for about 25 minutes and then handed over our vouchers for an admission ticket. Our CityPASS voucher included general admission plus one special exhibition, such as a space show or giant screen film. This would have cost 28$ if we had paid online. A point of note here, if you just turn up the admission price is just suggested, however as you need a ticket to get in and you have to go to the ticket desk, it would be very difficult in my opinion not to make a donation. We really enjoyed the museum. It is different to similar museums in the UK. Scenes are set out in dioramas - three-dimensional full-sized models of the habitat with life-sized models and stuffed animals. 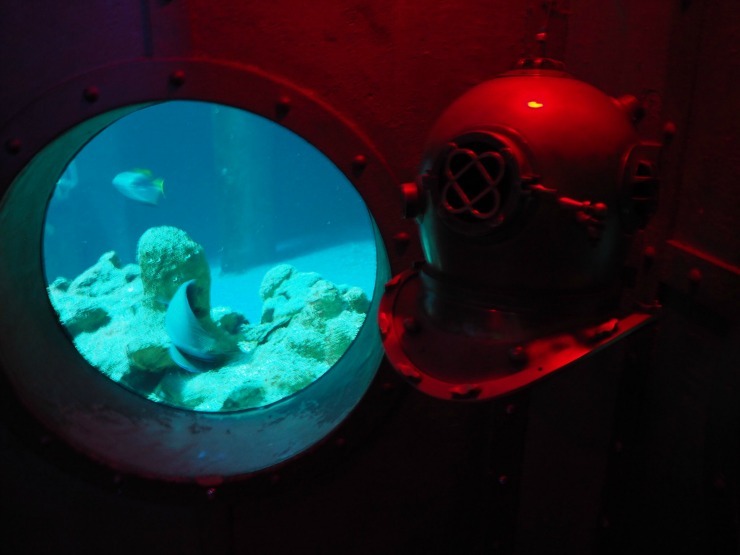 It's an interesting place for adults and it's a great family attraction in New York too. We did a self-guided Night At The Museum tour which I would highly recommend. We saw the capuchin monkey, the skeleton of Tyrannosaurus Rex and the towering figures from Rapa Nui all featured in the film. If you download the official app for the museum it also helps orientate yourself to this large museum. We also saw one of the timed space shows (free with the New York CityPASS), which was fabulous if you have an interest in space. Pros/Cons: If you have a New York CityPASS, you have to queue to exchange your voucher for a ticket but you do get a special attraction for free such as a space show. 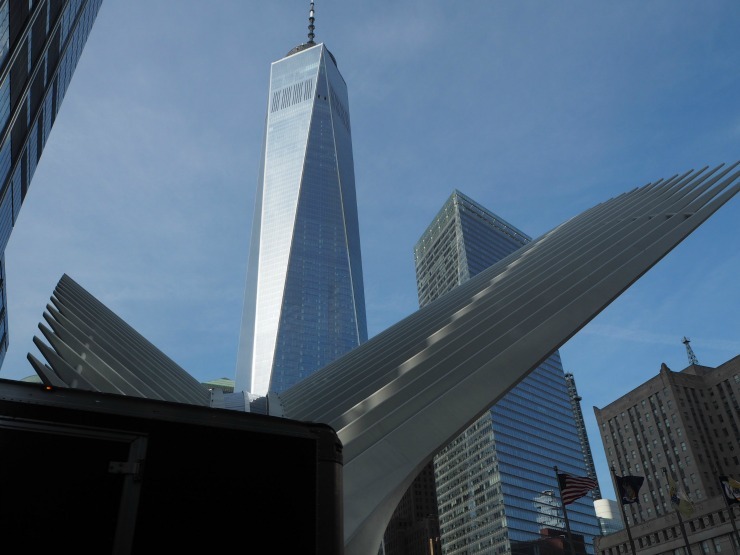 There is an option with the ticket to see either the 9/11 Memorial and Museum or the Intrepid Space and Air Museum, we decided to go to the 9/11 Memorial and Museum. When we arrived we saw the queue outside and were worried about how long it would take to gain admission but here having the New York CityPASS was a godsend as it allowed us to skip the queues quickly! 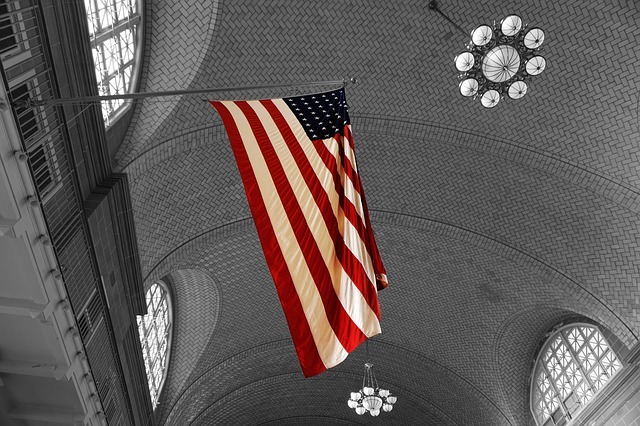 The museum, on the site of the World Trade Centre, documents the terrorist attacks of September 11, 2001, and February 26, 1993, in New York. 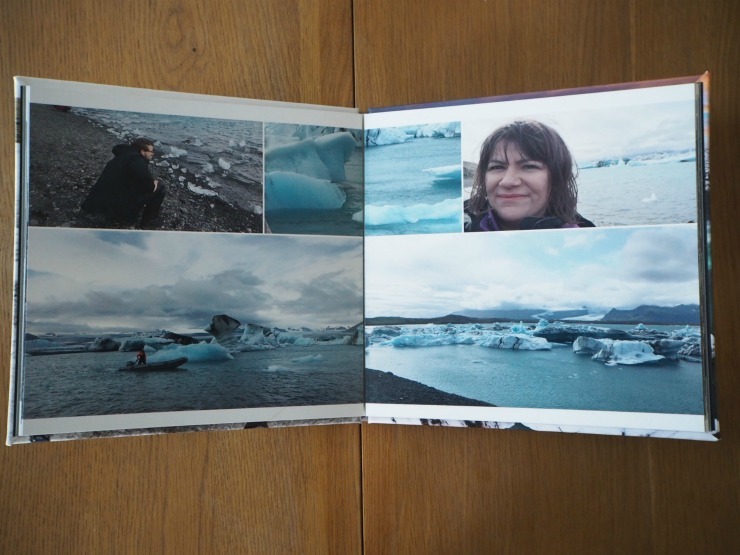 It examines the aftermath and also provides a memorial for nearly 3000 people killed in these attacks, and all those who risked their lives to save others. 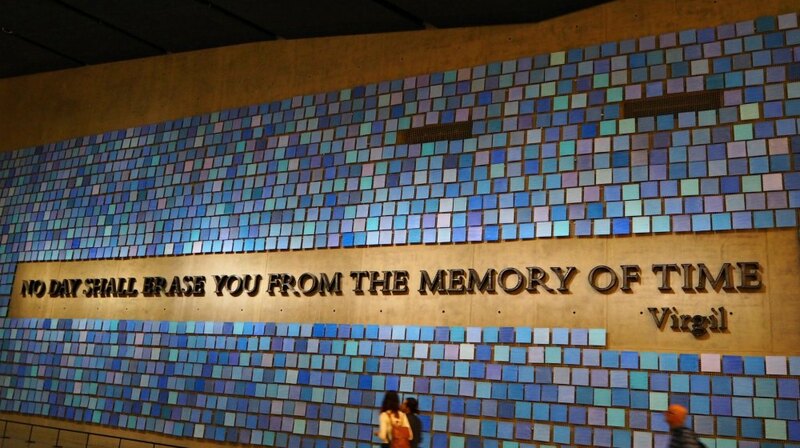 It is a very moving museum, made all the more relatable to us as the brother of a friend died in the World Trade Centre attack. Although we didn't know him, seeing his photo really hit home. Over 90 countries had people killed in the 9/11 terrorist attacks, 67 were British (the largest terror attack on the British) and over 6000 people were injured. If you are wondering if it is suitable for children then there is an area where under 10 years old are not recommended. This area has personal stories related to the attacks and could cause upset to children who may not be able to grasp the enormity of the attacks. To hear actual audio of people reporting and involved in the attacks and to see photos of the aftermath, personal items, like shoes that have been discarded makes it relatable and sobering. Pros/Cons: You get to skip the long lines for general admission. If you are going to see at least four of these attractions it would probably be worth it, but do your sums, go to the individual websites and work out the difference in price. If you are going to see only a couple of attractions I would say instead buy your individual tickets online. As opposed to just turning up at the attraction and not buying your ticket in advance the New York CityPASS can save you queuing at some attractions. An example of this is that when we went to the 9/11 Memorial Museum we bypassed the long ticket queue. This does not work in all locations though and ticket lines at the Top Of The Rock were especially long. You also get some extras with the New York CityPASS. 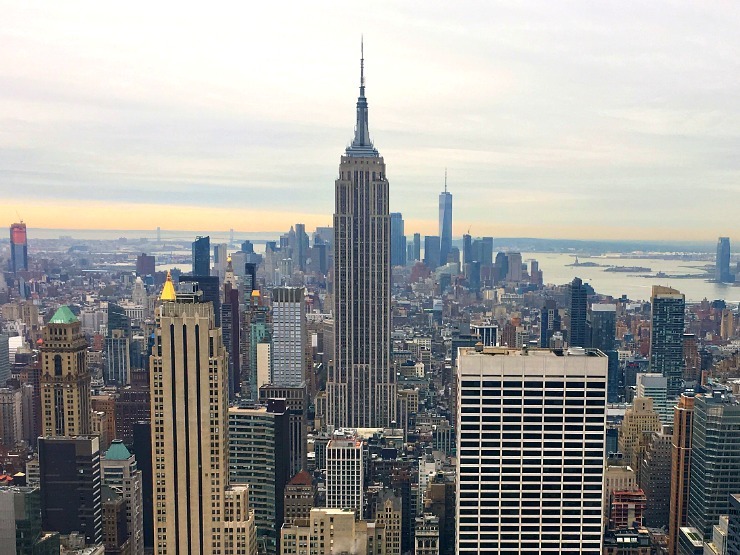 At the Empire State Building, you get admission but also a return for the same day. This would be great to see the Empire State Building at sunset. At the Natural History Museum you also a ticket to a special timed attraction, such as a space show. 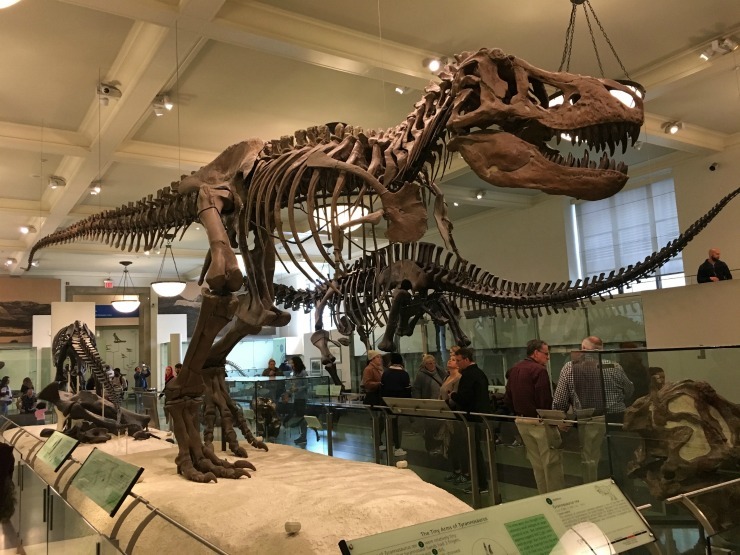 For more information on New York, especially for a first-time traveller, check out this post of Highlights Of New York, For A First Time Visitor, from the travel blog I write with my husband Fly Drive Explore. 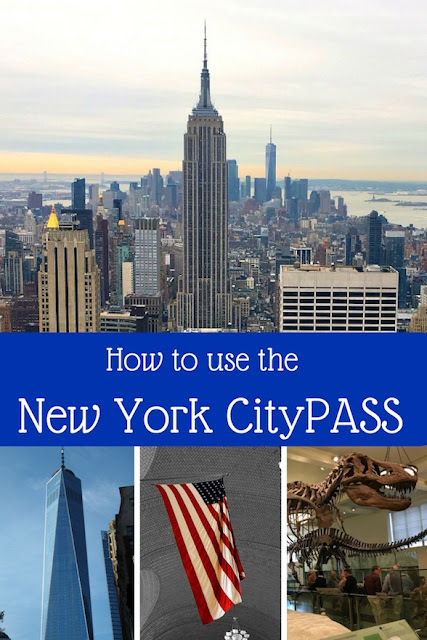 I think the New York CityPASS is a good option if you are seeing a number of attractions and can save you money, but as always do the calculations yourself first to see if it is worth it for you.